For women, eyebrows are a powerful face shaping mechanism. Where men have facial hair to shape their jawline and overall face shape, women have to rely on their eyebrows. Because of this, tons of trends flood the internet on the daily and deciding what shape best suits you can be an interesting experience. 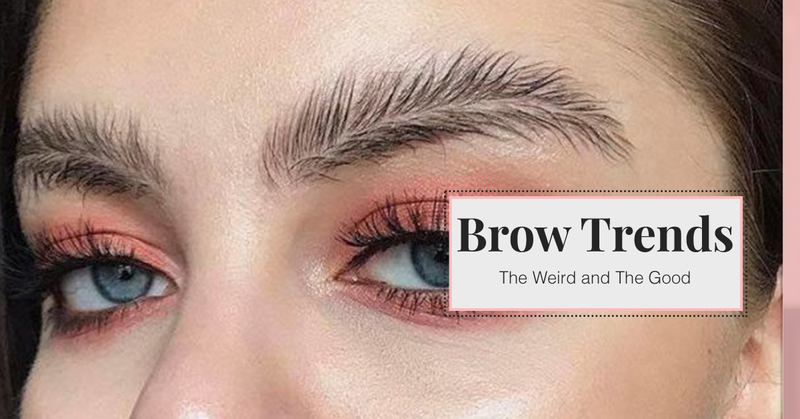 Mainly, because that flood of eyebrow trends and suggestions include things that we might generously refer to as “edgy.” We’ll lay out the do’s and the don’ts of the eyebrow trends of 2017 just as the year wraps up. Some may call this “bold”, but anyone who has a day job will probably call it impractical. In our opinion, there’s actually no need to restore that middle school feeling of trying something new and people giving you funny looks in the hallway. For this reason, we recommend avoiding the feather brow. We have no idea how one manages to get the hair to be essentially the same length on either side of this seam. When it first came out 50,000 Instagram posts surfaced with pictures of women trying it out. The style idea consists of parting the hair of your brow down the middle and splaying the hairs out on either side to imitate the look of a feather. Remember when you were a child, drawing wavy blue lines to imitate the waves of the ocean? This is the same idea, but you pluck your brows into that shape. Some beauty bloggers are actually just starting with an invisible brow using layers of concealer and powder to cover the hair and then using a gel liner to draw the brow on in whatever shape you choose. It’s interesting, but seems more fitting for an Alice in Wonderland cosplay of some sort. We would advise against wearing this trend to family get-togethers because we all know that one uncle is going to make fun of it and you don’t need that kind of negativity in your life. We’re on the fence about putting this one in the don’ts category. It’s strange, yes, but some people have managed to create some really cool looks with the idea. But, it would be truly difficult to find a real-world application for this look. You can cut out brow shaped pieces from your home aluminum foil, or you can pull off little pieces and artfully arrange them on your brow. If you’re going to a rave or a Halloween party, this could be fitting. If you’re thinking of using this look on a more regular basis, treat this trend like you would blue hair and ask your boss for permission first. Natural thick brows are all the rage right now for a reason. Probably because over-plucked brows tend to make your face look really big, which is just as bad as it sounds. We can thank Cara Delevingne for bringing unruly brows back. Recently, it’s become popular for stylists to draw a thick line at the top of a model’s brow to give the feature more power and the darker look. A great way to maintain your own naturally strong brows is to just pluck hairs that grow in between, on the bridge of your nose and your eyelid. Following these essential shaping rules, you’ll be able to achieve this trend easily. You won’t be able to braid your real eyebrows, and that’s totally ok. You’ll recreate this trend by gluing fake braided hair over your actual eyebrows. It’s an interesting idea surfacing from the 2017 Instagrammers that’s not nearly as horrifying as the above don’ts. It’s subtle but unusual and creates an interesting way of using the shaping technique of your brows while still using them as a contributing piece to your overall look. This is the trend to wear to your family get together because that one uncle won’t pay enough attention to notice this little gem. By far the riskiest considered in our Do’s category. In principle, it goes back to that idea of framing your face, but it does so in a less familiar way. To achieve the look, you’ll have to take a pencil eyeliner and trace the outline of your brow, be sure to include space between the traced line and the brow itself. Then, blend the line with eyeshadow, take this opportunity to flesh out the rest of your look with a smokey eye, or brighter approach. Eyebrows are a vital trend. Within recent years eyebrow trends have come to the forefront of the style industry, so much so that more and more makeup companies are coming out with eyebrow enhancing pencils and entire kits created for brow styling. As far as keeping up with all of the beauty blogs, and trends, leave that up to Kiss N’ Makeup your go-to for eyebrow shaping in Austin. We’d be ecstatic to help you find the perfect shape to enhance the beautiful features of your face. We’re also excited to start helping with men’s grooming. Here at Kiss N’ Makeup, we get that males tend to grow way more hair than women and it’s therefore very important to find a convenient way to make sure you’re looking your best every day and starting off with fundamentals like face shaping and maintaining a professional look. 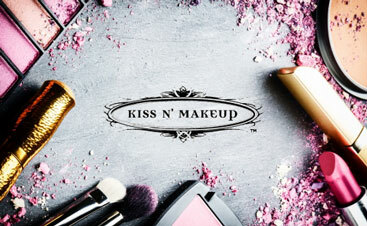 Invest in your long-term self-esteem with Kiss N’ Makeup.